With a rise in number of population and enhancing life standards of people, the number of businesses and retail chains coming into the market is also increasing. Buildings and new complexes, malls and other infrastructures are being developed. These buildings and real estate properties not only help in catering to the needs of people but also lead to numerous economic benefits. Cohen, et. al (2004) have demonstrated that the development of different infrastructure has several economic benefits and advantages for any country. The development of buildings and other infrastructure, including office buildings, retail complexes or entertainment centers all lead to significant enhancement and benefits for any given economy (Tassey, 1991). Retail being one of the biggest industries in Australia and hence the growth of infrastructure for different retail companies and other businesses is continuously increasing. There are special organizations that have been developed for the infrastructural development in different parts of Australia (Newman, 1978). The infrastructural development does not only include the public infrastructure but also consists of business, residential, retail and entertainment infrastructure and buildings. The present study thus aims at carrying out a complete assessment of the economic benefits caused due to the development of a new retail, entertainment and office complex in Central Darwin. The development of the complex is expected to be done in two phases, i.e. the construction and the operational phase. With two years of construction time, the project would require an investment of around $40 million and would contribute to the economy of the region, as well as the entire country by contributing in terms of employment, salaries, wages etc. A complete input output analysis is what is required in relation to the matrix structure to present a study of what goes into the construction of the complex and the benefits derived from the same. The site is expected to provide several jobs to people in that area. The jobs that would be created with the construction of the complex includes retail trade, cafes and restaurants and in cinema and gallery. Thus, it is crucial to highlights the benefits of both these phases for a complete impact analysis of the development. The matrix above presents an overview of the input output matrix. Here, the columns present the output variables and rows present the input variables. The value “a” refers to the employment generated, i.e. no. of jobs generated per dollar spent in the first year. Similarly value “g” refers to the output received per dollar spent on construction in the second year of construction. The new business and retail complex can lead to numerous industrial and consumption effects. Not only will it lead to an increase in employment and value-add to in the economy of Darwin and Northern Territory but it would also lead to more space for businesses and retail companies. Not only will the suppliers will get more business out of the new project but also generate more earnings for the workers involved in the construction. Thus, it can be easily concluded that the project would lead to an increase in the overall increase in supply and demand in the industry. A new complex would lead to more number of retail outlets and more entertainment options, thus increasing the industry’s supply. But at the same, it would lead to an increase in the wages and salaries of workers by providing them employment (EcoTec Consultants, 2013). This will lead to an increment in their income, thus causing an increase in demand. Consumption would also go higher because of higher income and increase in employment, thus contributing towards the overall growth of the industry. Multipliers are nothing but indicative factors or numbers that highlight the change taking place in an endogenous variable because of the changes taking place in another exogenous variable. There are several different types of multipliers that are used in the study of economics. They can either be representative of a particular region or can represent an entire economy. Some multipliers demonstrate the direct impact of one variable changes on another variable changes, whereas some multipliers demonstrate indirect impacts. For example, when the construction leads to an increase in number of jobs, it is termed as direct impact but when it leads to an increase in consumption it is an indirect effect. Basis on the type of effect they have, multipliers can be divided into two broad categories. Type 1 multipliers are the ones that demonstrate the direct, as well as the indirect effects whereas the type 2 multipliers also include the induced effect (Sunar, 2001). Induced effects are the effects caused from the multipliers. For example, in this case direct impact would be the generation of employment of construction workers, indirect impact would be increase in employment of workers hired by suppliers and induced impact would be employment increase that would happen with increase in consumption. The construction phase will last only for two years but the benefits of the construction phase will not end at the end of two years. These benefits will in fact last much longer because of the time consumed in circulating money. The money or revenues that would be generated during construction would take time to move around the economy, as the same money would be used for expenditures and further consumptions (Kuznets, 1955). The generated benefits in terms of monetary component only get reduced with time when tax and savings lead to their decrement. Thus, the construction phase benefits would be ongoing for some time. The input rows in the matrix also include the three sectors because these sectors would also contribute to the operational phase of the complex. Similar to the matrix in the construction phase, this demonstrates how the changes in one variable lead to the changes in the output variables. It is demonstrated that the inputs used in the operational phase help in providing numerous economic benefits. The first and the biggest benefit is that it leads to an increase in direct employment by increasing the number of jobs in different sectors and different industries. The creation of number of jobs is not only direct but also increases indirectly. It will also lead to indirect employment via suppliers. As the revenue of the government increases, the tax benefits and savings in the regional as well as nationwide economy also goes up. Thus, it is seen that the construction and operational phase both provide economic benefits. The economic benefits are mainly concentrated to the Darwin region but will definitely have wider and deeper implications for the entire economy of the country. Both the phases would definitely lead to an increase an increase in employment by creating jobs, directly and indirectly. The creation of jobs happens at different stages, as it can be direct, indirect or induced. The increase in employment then leads to a significant increase in the overall income of people in the economy by raising their wages and salaries. 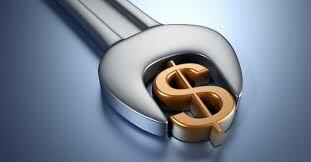 An increase in salaries and wages increase income, which increase demand and consumption. Thus, the GDP of the economy also gets enhanced with via both the phases. However, the results are more likely to overestimate the economic benefits in the Darwin economy because the consumption is not known. The output level given here is when the use and consumption of the complex is hundred percent. The consumption levels can vary due to different reasons and lower consumption would lead to lower economic benefits (Maass, 1966). Hence, it is more likely that the economic benefits are being overestimated for the Darwin economy. As seen, the construction of a retail, entertainment and office complex in central Darwin and Northern Territory region has been proposed. There are two stages of the project, i.e. the construction phase and the operation phase. Both the phases are found to lead to several economic benefits in terms of employment, income, wages, salaries, output, GDP and demand. The economic benefits taking place due to the project are found to be a combination of direct, indirect and inductive impacts and benefits. 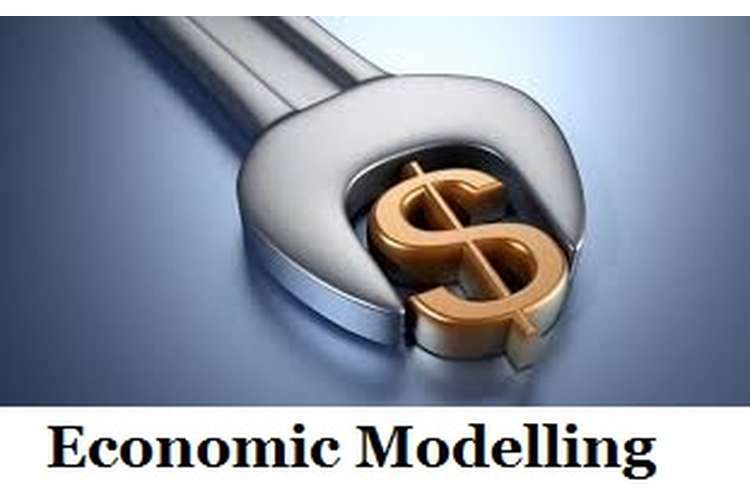 The economic model that has been used to present the benefits in the present case is the input-output model. There are several assumptions that are included in the analysis carried out by input-output model approach. The main assumption underlying the analysis and the model is that what is produced would be consumed by the economy (Fletcher, 1989). It is assumed that the goods and services produced from the project would be consumed in the Darwin region. Another assumption that is commonly incorporated in the model is that the creation of jobs leads to multiplier effect on the wider economy, which leads to indirect and induced employment (Vollenweider, 1975). The model also makes an assumption that there exists a linear relationship between the demand functions for all the inputs and output variables of any given project or activity. There are several benefits of using the input-output model, the central one being its ability to correlate different industries to the overall economy. Also, it helps in quantitatively analyzing the impacts of any activity on the economy (Moses, 1955). Though the input output analysis method supports the need of carrying out an economic benefit analysis, the analysis can be further improved. One commonly used method of improving the analysis is to make use of a hybrid modeling approach. For example, the input-output model adopted in this case can be combined with other modeling approaches to reduce the chances of errors (Liang, et. al 2010). The use of different methodologies and models help in examining the benefits from different perspectives and in different ways and hence it is advisable to use a hybrid approach. It is seen that the construction of a new business, retail and entertainment complex in the Darwin region can lead to several economic benefits for not only the Darwin region but the economy on a whole. The benefits of the two phases of the project, construction and operation phase differ in the impacts and the magnitude of impact. Hence, the report makes use of the input output analysis model to correlate the resources that are used as inputs for the project to the outputs obtained from the project. Increase in employment, income, wages, demand and output are shown to be some of the main economic benefits of the two phases. Though the model used helps in clear definition of type 1, as well as type 2 multipliers and also help in establishing a clear linear relationship between inputs and outputs, the overall results can be enhanced by adopting a mixed hybrid approach towards modeling.